Cicero, NY (April 16, 2019) – New York State Police have identified the individuals who were reported to have been seriously injured in a two-car crash that took place on Monday afternoon, April 15th. According to the original story, an SUV and a box truck collided head-on along I-481 at approximately 3:02 p.m., resulting in the serious injuries of three people. Tragically, one of the parties involved died from their injuries. Police have now reported that a 2019 Jeep Grand Cherokee, operated by 70-year-old Thomas F. Fredenburg, of Baldwinsville, had been traveling north along the interstate with one passenger, identified as 70-year-old Marilou E. Fredenburg, also of Baldwinsville, when the accident occurred. At this time, Mr. Fredenburg is believed to have possibly suffered a medical episode while driving which caused him to veer into the center median where he struck a guardrail and launched his vehicle into the southbound lane. The Jeep subsequently collided head-on with a 2016 Chevrolet Express Cube Van, operated by Anthony Almazi, 59, of Dewitt. Both Mr. and Mrs. Fredenburg were transported to SUNY Upstate Medical University, where Mr. Fredenburg was sadly pronounced deceased. Mrs. Fredenburg was admitted to undergo treatment for two broken arms as well as internal injuries. Almazi was also hospitalized for internal injuries. Many car accidents in New York end in extremely serious injuries or death, and especially those which occur head-on. At this time, we would like to extend our most genuine sympathies to the loved ones of Thomas F. Fredenburg, as well as the two injured parties. 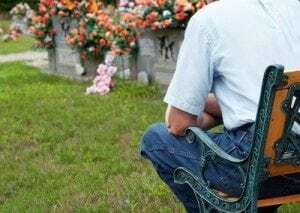 While it can be difficult, it is important to understand that, as either a victim or a member of the bereaved family, you may have serious rights moving forward. Our accident attorneys at Hach & Rose have devoted their careers to those who have suffered due to the actions of another party or entity. We understand the physical, emotional, and financial complications that occur in the aftermath of such a devastating accident, and we are here for you 24/7 to answer any questions you may have. If you have lost a loved one or suffered injuries in a New York car accident, please do not hesitate to call 212-779-0057 today.